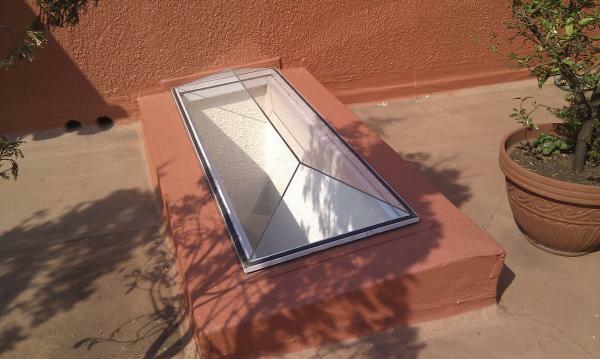 All our skylight systems are custom made to suit our clients needs. The frames are cut and welded together from 3mm extruded aluminium sections. 6.38mm PVB laminated safety glass is used on most of our domestic skylight system which is produced in a wide range of tints to suit the comforts and requirments of the modern home today. The photos below show various skylight systems.